A. papilionacea is a polymorphic species with a large and varied distribution, factors that unsurprisingly give rise to a wide range of natural and regional variations. 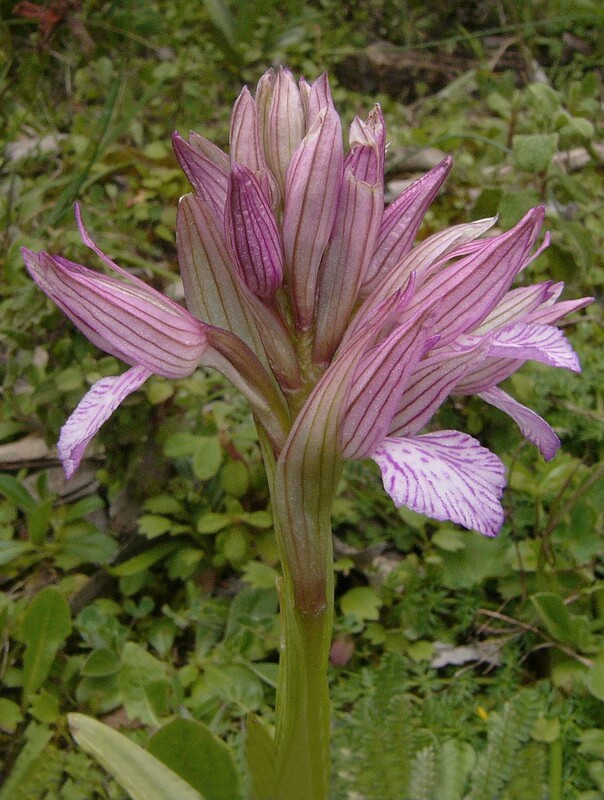 First described (as an Orchis) by Linnaeus as long ago as 1759, the taxon has ever since been intensely studied, leading to the recognition of many forms and the creation of a list of synonyms far too extensive to detail in these pages (67 in 2013). A genetic study in 1993 comparing sub-species grandiflora, papilionacea and heroica (now aegaea) determined that the minimal genetic difference's discovered, were consistent with separate geographic populations within a single cohesive gene pool. These results were not universally accepted and new taxa continue to emerge. A. papilionacea ssp messenica was first described from Peloponnese by Renz in 1928 and its name refers to the ancient district of Messenia in the south west of Peloponnese. This sub-species is similar in shape and proportion to aegaea but is easily distinguished by the pale colouration of both perianth and lip. The overall background colour is white, with hood veining and lip marking in violet as opposed to the more usual "papilionacea" pink. It is known with certainty from south west Peloponnese but is thought to be possibly more widespread. The picture is from the Pilos district and dates from the middle of March.